Confession: we love hair accessories. 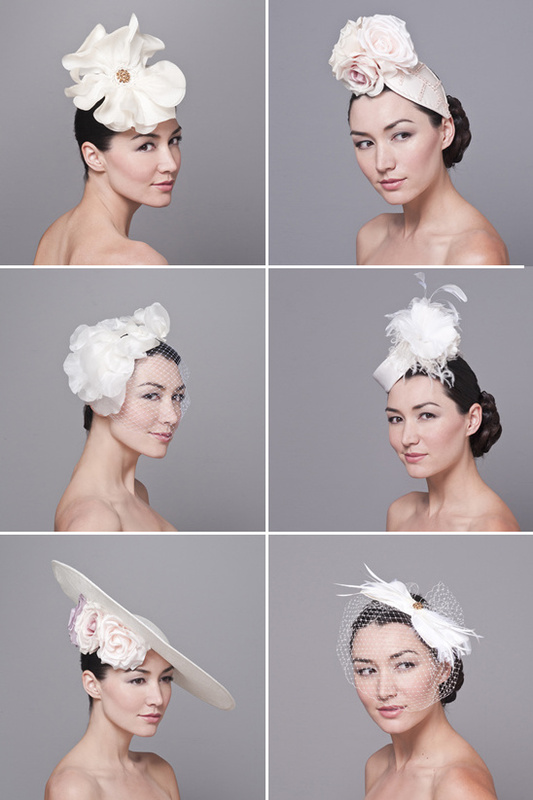 If we could have our way, we would love to see every single bride with something fancy in their hair. So when Rehn, the master mind from Bijou Van Ness shared with us her latest bridal collection we could not wait to share. 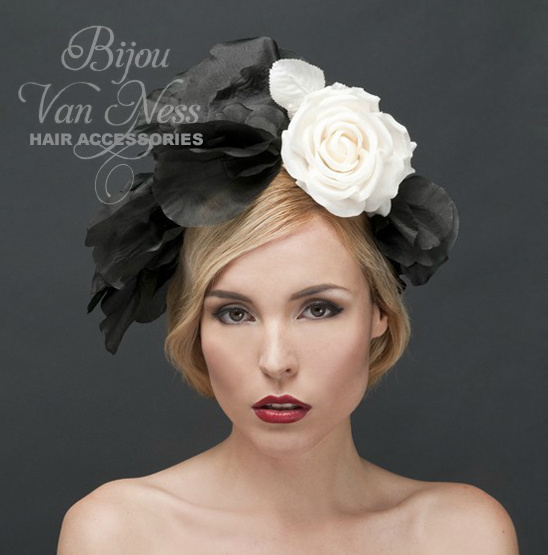 Impeccably fusing the romantics of 20th century fashion in Europe with the distinct style that marked the beginning of Hollywood's infamous glamour, Bijou Van Ness embodies just that in each and every uniquely designed hat. You have to see the entire bridal collection here. Founder, Rehn Dudukgian, who currently resides in the heart of Hollywood, but has lived everywhere from Paris to Singapore, designs each hat by hand with pure silks, fine crystals, and vintage brooches. These are one-of-a-kind materials that have been imported from all over the world. With Rehn being inspired not only by her travels, but by her acute sense for the idiosyncrasies encompassing each and every era of fashion. They are pretty amazing aren't they?